Nice Simple Cabin, like the Beach Club. Awesome rope swing in front of the cabins. Highly recommend! We come here year after year to chill and relax. The young people call it Chillaxin. This Place is so awsome, My family,friends and I always looks forward to ths vacation. It's so relaxing and lots of fun, can't wait for next summer to get here. Thank your for your review! Can't wait to see you for your next trip! we had our wedding at the beach club and the entire staff was so accompdating and helpful. The venue was absolutely beautiful and so clean. Even when we thought there may be a chance of rain, Cassandra and April in the office worked with the owner Casey Whatley to help us find a plan B. Although, in the end it wasn't necessary, we appreciated the help. We had a beautiful wedding weekend in a place that looked like paradise! Thank you all! We highly recommend Frio Country!! Sitting on the porch was very relaxing, listening to the water rush by! Beautiful views! Cabins were clean and cozy! We always love our hosts and experience in Concan! Thanks for welcoming our large group each year! This was our 10th year on the Frio and we keep coming back for more. It's the peace and quiet and the stars at night that we love so much. When you decide to make Frio Country your vacation spot just realize it might be a lifetime commitment?? Family Time at Frio Country!! It was a great experience to wake up in the morning hearing the river flow. We had lots of fun. Thank you for your review! 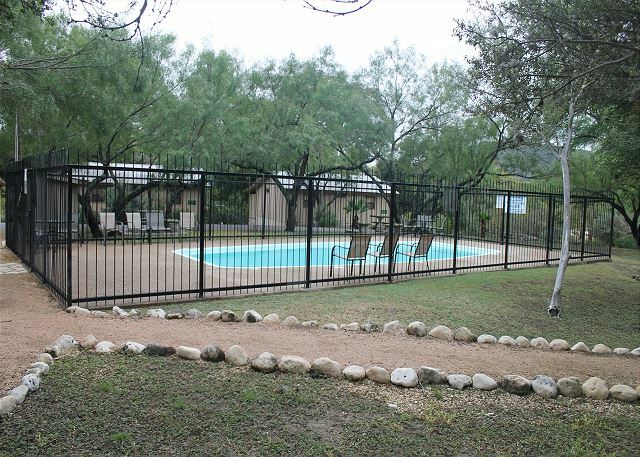 We are thrilled that you enjoyed your stay and hope that you choose FCR for future stays on the Frio! I won the trip through a Facebook contest and they could have put us in their worst location but no, we were river front in a nice cabin. I've been renting through Frio Country Resprt for years. They're the best! I thouroughly enjoyed my time spent at the Frio Country River Resort. The accommodations were very clean and comfortable. The staff was extremely helpful and available. Great place to sit back and take in the beauty of the Frio. What a beautiful time of year to be at the Frio! It got pretty cold while we where there, and that gave us a whole different kind of experience. The temp did not bother our neighbors, they were IN the river, lol. My wife and I experienced 3 relaxing nights in one of the Beach Club cabins. Just steps from the Frio River, the constant sound of the river provided a unique, peaceful quality to our Frio Country stay. We were so impressed with the Beach Club cabins, we looked into renting 4 Beach Club cabins next summer for our entire family to have a memorable getaway together. Enjoyed the fireplace. Nice appliances. Clean. Only a few pots and pans, glasses, and cutlery. Family fun for days on the river. Cabins, walkways , River conditions were excellent. We look forward to rebooking and doing it all over again..
Could use some lighting at the pool and extended access pool time. We love the FC Beach Club especially #s 1,2,3 & 4 Will be coming for years to come. We've been staying at Beach Club for many years and always enjoy our stay. Our air conditioning went out and the office sent out service techs right away to rectify the problem. We were very pleased with the prompt response. 1. As usual we were very happy overall with the stay, except my daughter had an accident and had to be EMS to Uvalde; thanks to Dennis Ullman and co-firefighters. We will be back. 2. Fix the WiFi. A lot of us still have to work while on vacation and I need that working. We called a few times, but it was not fixed, we would get on for a few minutes and then it kept knocking off the WiFi. 3. Replace the toilet seats. Paint is chipped off. That is a cheap and easy fix. I use to build homes and do quality control for builders, that is a cheap, easy fix. 4. Shower curtain; it is way too long, another quick and easy fix. 5. Take out the pampas grass in front of the beach club cabins. You have million dollar views and the pampas grass blocks the view; get rid of them. I noticed a neighbor complain to one of your workers because it scratched her grandkids legs every time they walked by them. I spend more time sitting out on the porch drinking coffee or a drink than I do sleeping or swimming. 6. We still love you, and love your place, love the Frio, we are only saying these things to help you and give you FEEDBACK not tocomplain; ONLY TO MAKE YOU BETTER. Keep up the good work. 7. We give your name to everyone we know and have gotten a few people to stay there. I think my brother will be going there next year. See you next year and have a great and prosperous Summer. 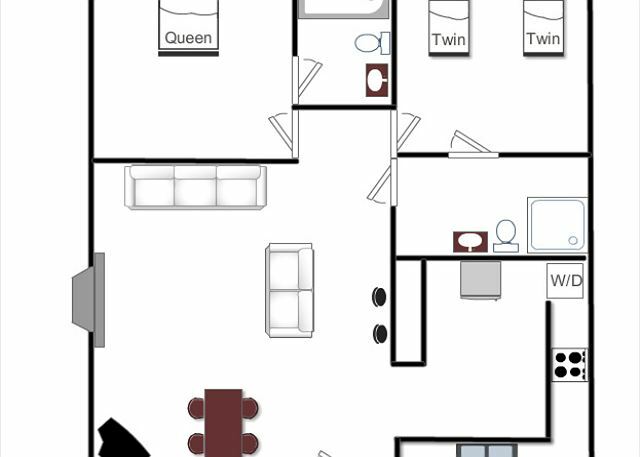 This may be the tenth year we have been staying there. The house was clean, staff very nice. There are 5 families that meet there every year, close friends I ends from high school, college. When we needed an extra baroque grill to cook on,, the people at Frio Country delivered one to us. Each cabin has one out front, but one family was cooking lots of ribs and sausage. That is why we needed another. We love it there, beach club a bit more private than the other cabin areas. we have been staying at Frio Country with family for years on Memorial weekend. 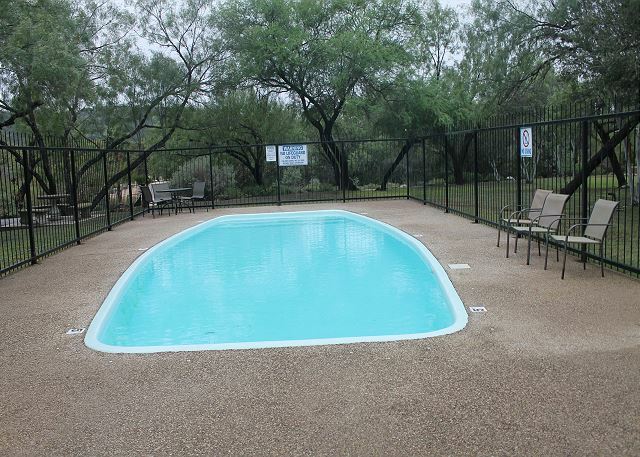 We always enjoy our stay and love the entire property, it's location, cleanliness and upgrades. The management responds quickly to our needs and are always courteous. We often recommend it to our family and friends. Wow! Great location on the Frio River and the view from the front porch, what can I say, "Just Beautiful". The grounds were well maintained and beautifully landscaped. Everything was just as advertised and the staff was so helpful and accommodating when we had to reschedule our reservation. We definitely will stay at Frio Country again. One downside is that not all cell phone carriers offer service in the area. All 4 guests staying in the cabin had a wonderful vacation. We had days golfing at the club, then spent our remaining time around the cabin, enjoying the beautiful scenery and river at the cabin. We did come during off season so restaurant dining was nonexistent. But we had a wonderful trip otherwise. 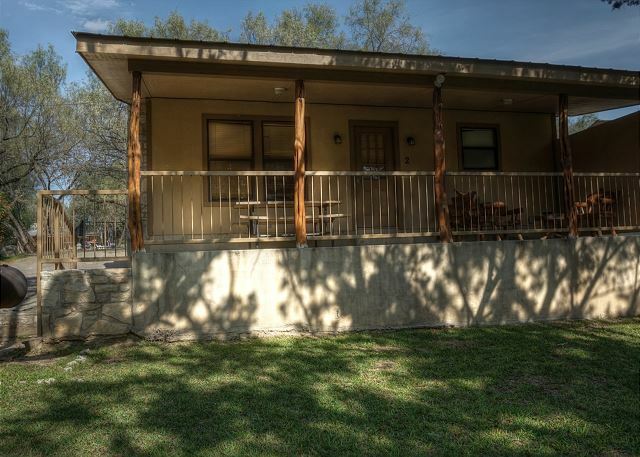 You get an amazing view of the Frio River when you stay in a Beach Club Cabin. You are on the river. You can't get this kind of river access with any other rental companies in the area. Perfect getaway. Cant seem to get enough of this little piece of heaven. So relaxing. Love listening to the water and watching the wildlife. I could actually live here. 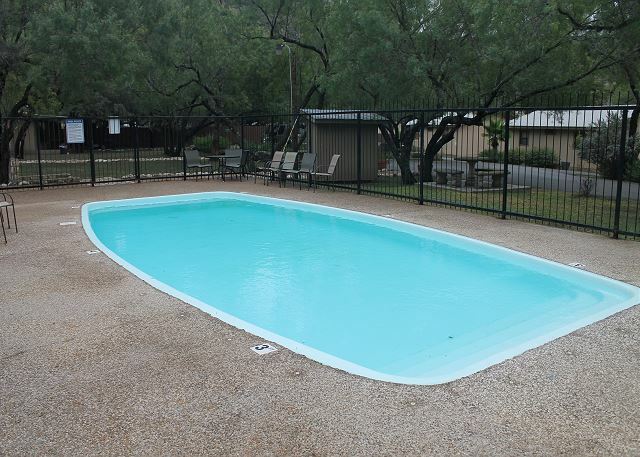 Staff is super friendly and property is maintained perfectly. Love the fact that there is a coded gate access as well.